In the early 1830s, Librado Silva obtained a provisional land grant from the Manuel Victoria, Governor of Alta California. It was a common requirement of land grants to construct a home on the property. The Adobe was constructed in approximately 1831 by the Silva family. Juan Osuna was one of the San Diegans who participated in the revolt that helped capture the Presidio at San Diego. Juan Osuna received a provisional grant for the property in 1833. 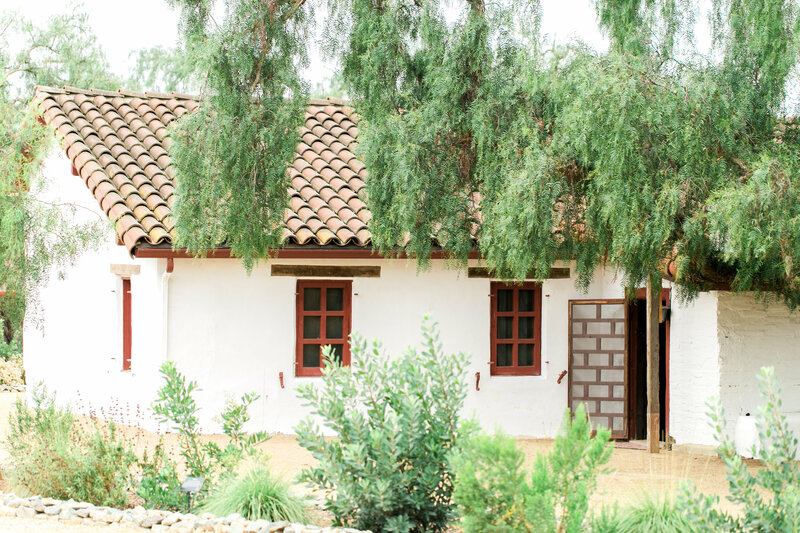 In 1835 Juan Osuna acquired the property as a part of the 8,824-acre San Dieguito Land Grant. Shortly after the Adobe was built, there was a revolt against Governor Victoria. Juan Osuna took possession of the ranch and had a second, larger Adobe built down the road, which later became known as Osuna 2. Juan Osuna moved into Osuna 2, while his son Leandro moved into the older adobe located on Osuna Ranch. During the Mexican American War, the Osuna Adobe was used as the headquarters for the Californios before the Battle of San Pasqual. Juan Osuna died in 1851 and was buried in Old Town, where his grave can be seen today. Leandro Osuna died in 1859 after a prolonged illness. 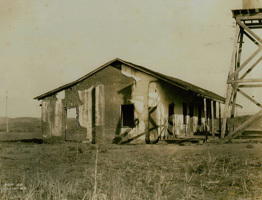 The Osuna family continued to live at Osuna Ranch, but had to prove the legality of their land claim to the new American authorities. In 1871 official recognition of the land title was granted to Juan Maria Osuna’s widow Juliana, who died later that year. The Adobe was occupied by members of Juan Osuna’s family for several decades until 1906, when the property was acquired by the Santa Fe Land Improvement Company. In 1924 noted architect Lillian Rice rehabilitated the Adobe, which had fallen into a state of disrepair. Currently, portions of the original Adobe structure in addition to some of the modification from the 1920s remain intact. On March 21, 1938, Osuna Ranch was annexed into the of Covenant of Rancho Santa Fe with a condition allowing 25 horses and other livestock on property. Ownership of the property has changed several times over the years, but the horse training, and boarding uses that were originally allowed in 1938 have continued to this day. In 2006 the Association purchased the property with the intent to preserve the historic Adobe and maintain its equestrian operations. The primary use for Osuna Ranch is horse boarding and training. The equestrian operations utilize existing structures and facilities including barns, stables, storage sheds, arenas, paddocks and pastures. The Association plans to continue to preserve the existing Adobe and surrounding land. The existence of the Adobe was a significant factor in the Association’s decision to purchase the Ranch.